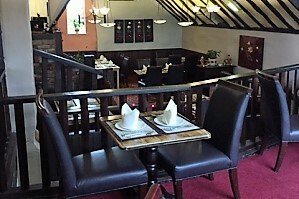 Just Thai is a beautifully appointed Thai restaurant on the first floor of the Village Inn in Flixton. 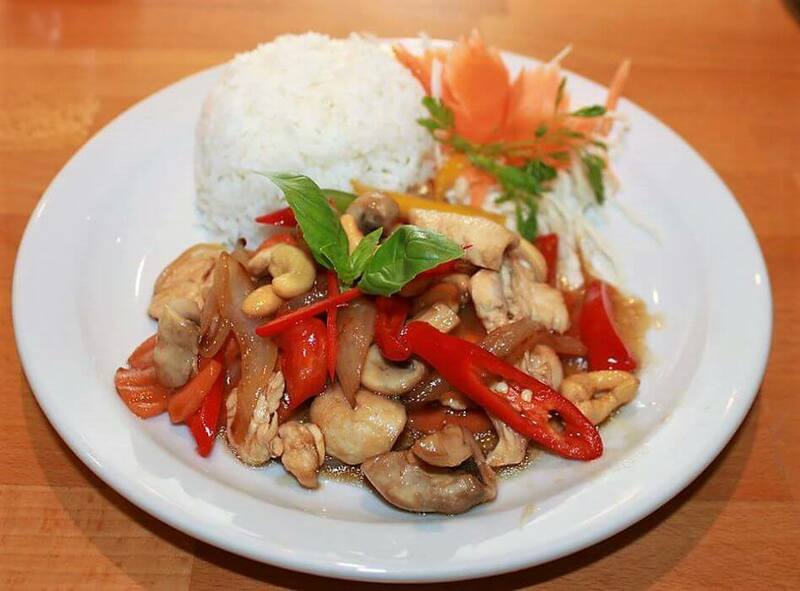 This Thai restaurant in the pretty village of Flixton is conveniently located five minutes from the Trafford Centre and quarter of an hour from Manchester city centre. 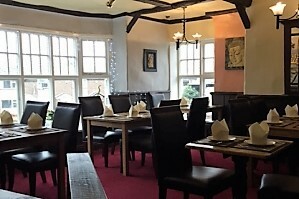 The restaurant is on the first floor of the Tudor-fronted Village Inn and is a beautifully appointed venue with furnishings imported direct from Thailand and lots of nooks and crannies adding character. 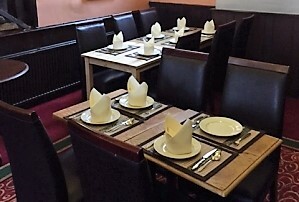 All the food is prepared fresh daily and signature dishes include starters like Thai Honey Duck (roasted duck in home-made honey sauce, topped with sesame seeds and served with rocket) and mains like the classic street food stir-fry Pad Kra Prao (stir fried beef, chicken, pork or vegetables with Thai basil, fresh chillies, garlic, onion and long beans, topped with a fried egg). 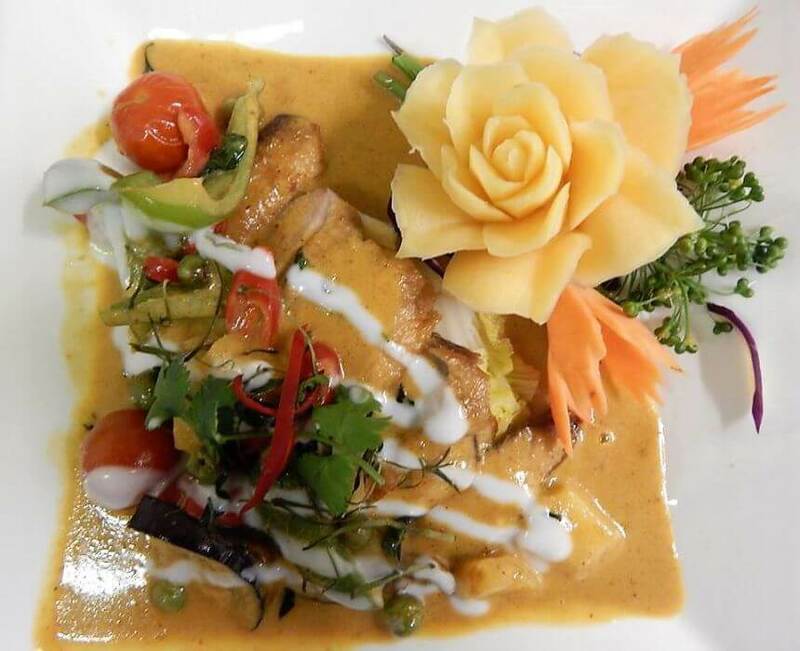 Just Thai is open for both lunch and dinner Wednesday to Sunday and as well as the main a la carte offers banquet menus for two people (£25 and £35). 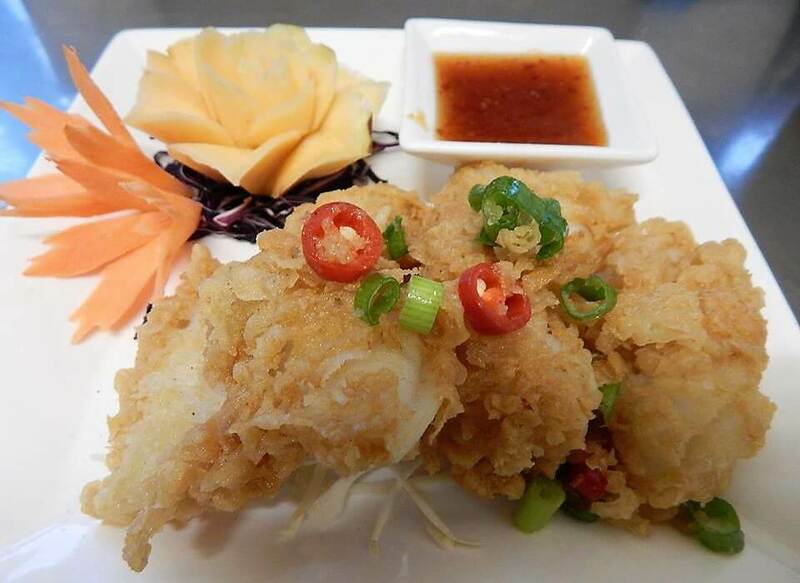 Takeaway is free delivery within a three-mile radius with a minimum £20 spend or if you collect, 15% off the main menu prices. Free glass of prosecco with every evening meal. 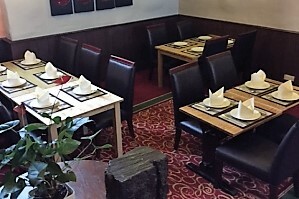 The restaurant is well laid out with plenty of space. The staff are very friendly and attentive. 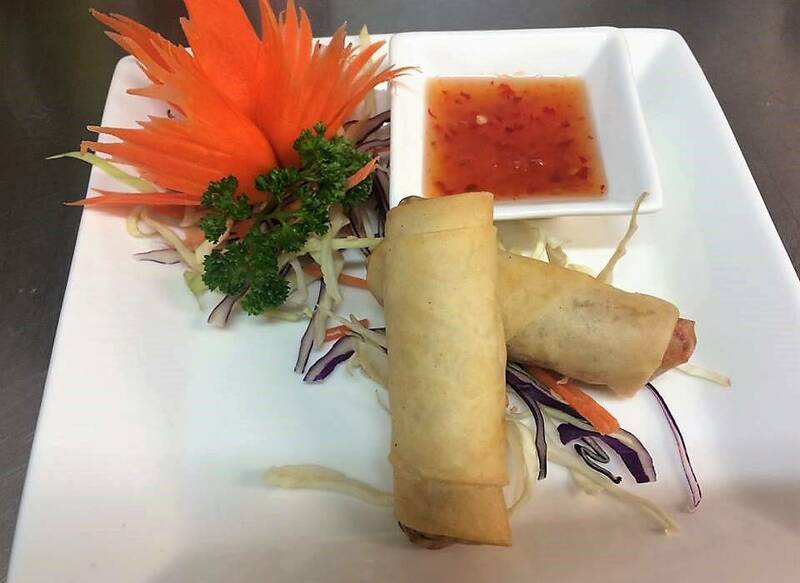 The food is consistently top quality and well presented. Always a pleasant experience. Recently experienced a meal at the Village Inn (Ex Greyhound Hotel) Fantastic! The service was really good from very friendly staff. Do they ever stop smiling? 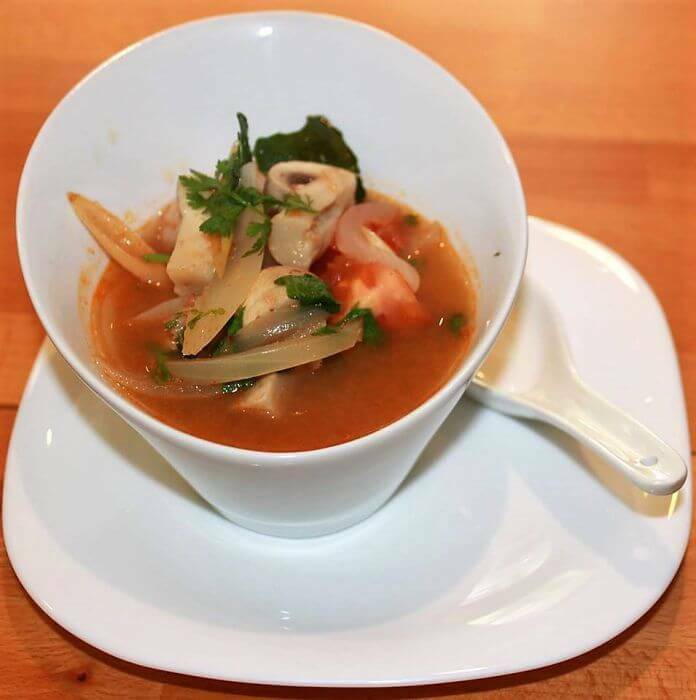 The food was hot, tasty and beautifully presented and very reasonably priced. We will definitely return. Just had boxing day lunch with family at Thai village. Whilst food was tasty enough & staff were friendly & attentive, the while experience was spoilt by the fact that the place was freezing! Even the red wine was chilled! We will not be in a hurry to return. What a find! 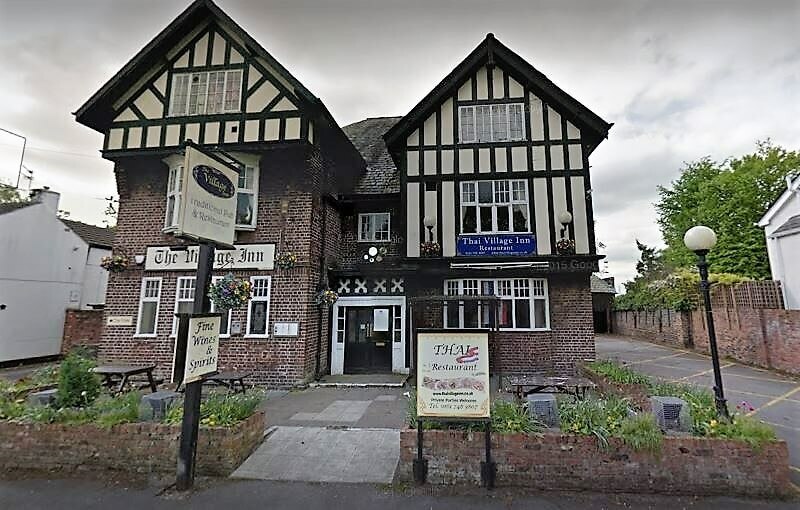 Had dinner last night at The Village Inn in Flixton. Excellent food. We all really enjoyed the delicious Thai food. 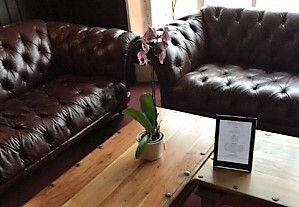 The staff were great- very friendly, attentive and made sure we were all looked after. Will definitely return and highly recommend. 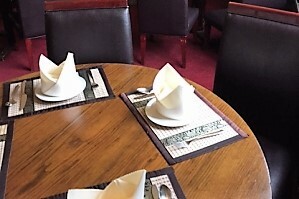 A lovely restaraunt, excellent food, served with true Thai style. 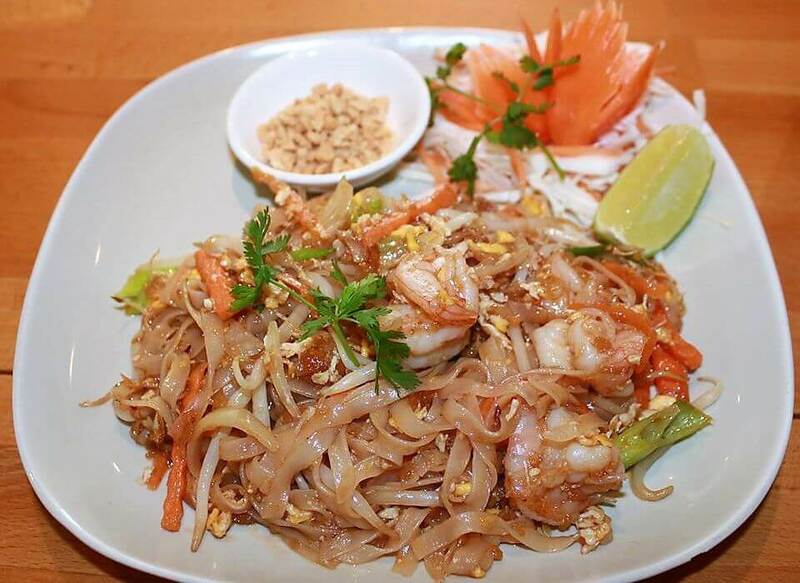 A comprehensive selection of Thai food. The one of the best Thai meal i've every had. If you have not been to the Village Inn in Urmston. Go asap make sure you book we went on this Sunday night 27/01/13 no table left, plus nice pub down stairs and pool table. excellent food and service.... recommended :) very nice beautiful waitress smile and lovely. 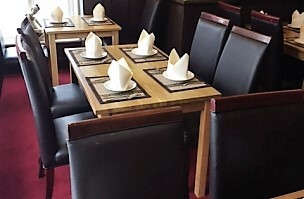 Been here many times and had take away food is amazing really tasty and lots to choose from, everything i have tried has been outstanding would recommend to every one, Staff are really nice an helpful, you can go down stairs for a few drinks after your meal great atmosphere. I would recommend sizzling weeping tiger. We've been to the restaurant a few times now (and tried the takeaway too). Really nice food and great service. Try the mussels for starter - a bit spicy , but very tasty. Or the mixed starter to try out some different choices. Lots of options for main, depending on your taste. We had a fishetarian and a carnivore in our party and there were plenty of options for both. Lots of veggie options too. Give it try - you won't regret it. All dishes can be made vegetarian.